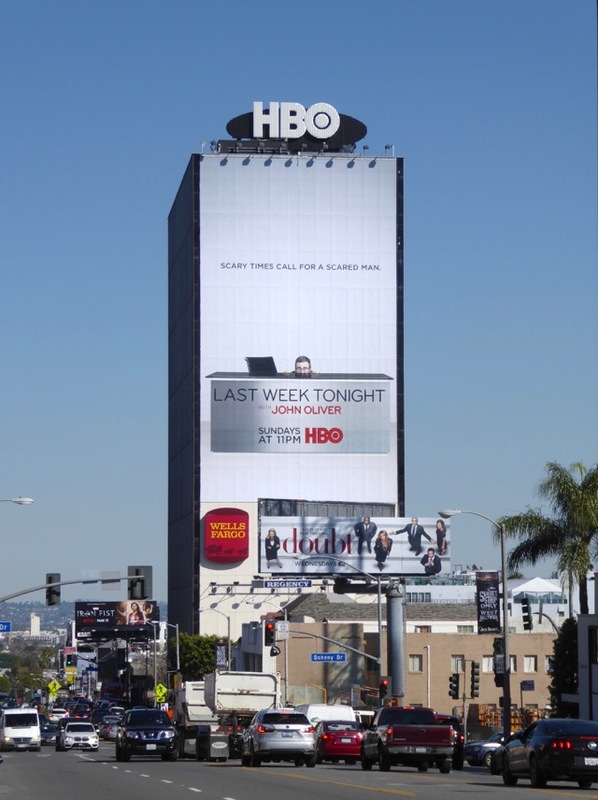 There's no wonder that John Oliver doesn't want to come out from behind his desk for the fourth season of Last Week Tonight, as these are scary times we live in and they'll probably only get worse over the next four years. 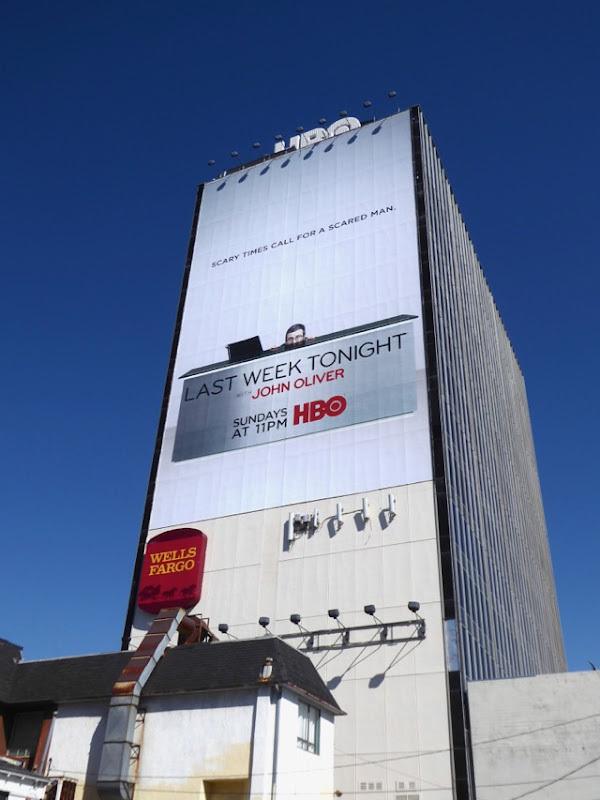 The only upside for the political news commentator is that there is so much material for his new episodes that he could probably host his late-night show every night of the week and still have things to talk about. Russian puppets, spineless GOPers, toddler Twitter tantrums, ethics violations, travel bans, alternate facts, fake news, very real protests, purchasing Cabinet positions, giving guns to crazy people, destroying the environment, repealing Obamacare without a replacement, white supremacists in the White House, SNL skits, the topics are an endless source of hilarity, outrage and despair. 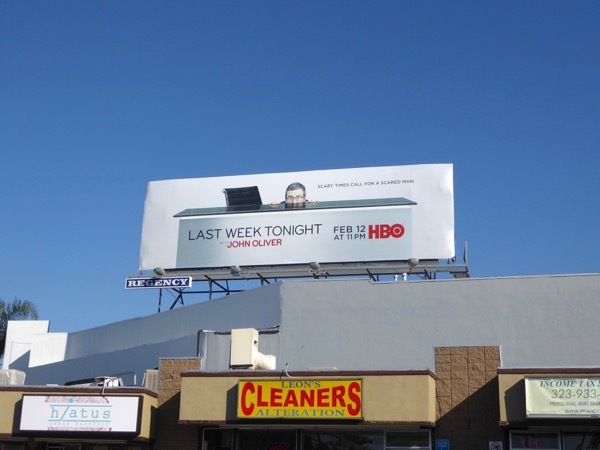 These season four billboards were snapped above the Sunset Strip and La Brea Avenue on January 25, 2017. 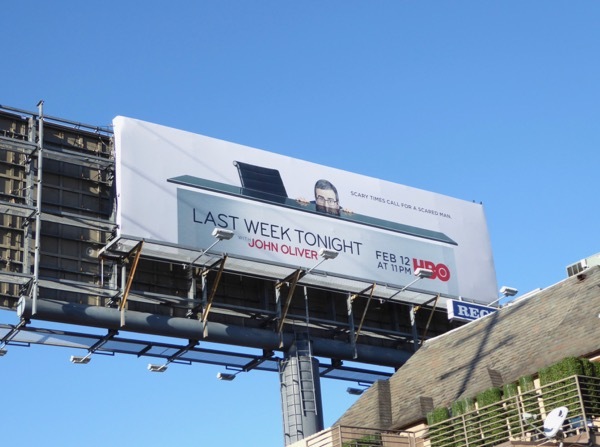 For more satirical billboards for his show, make sure you check out these previous season promo billboards for Last Week Tonight with John Oliver. 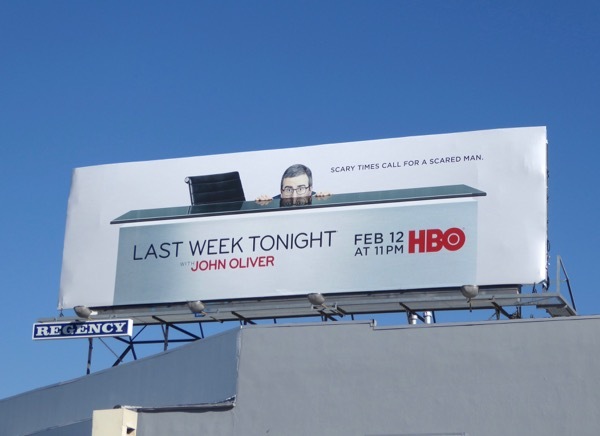 Let's face it, John Oliver can't be too scared otherwise he'd build a huge expensive wall around his desk to keep him safe. 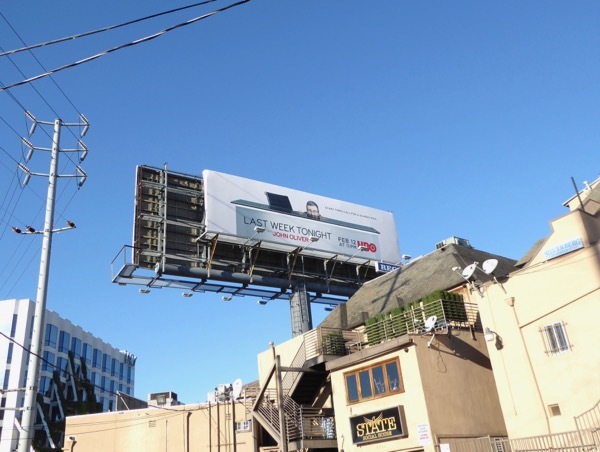 UPDATED: Here's also a super-sized version of this fun ad creative photographed towering over the Sunset Strip on February 28, 2017. 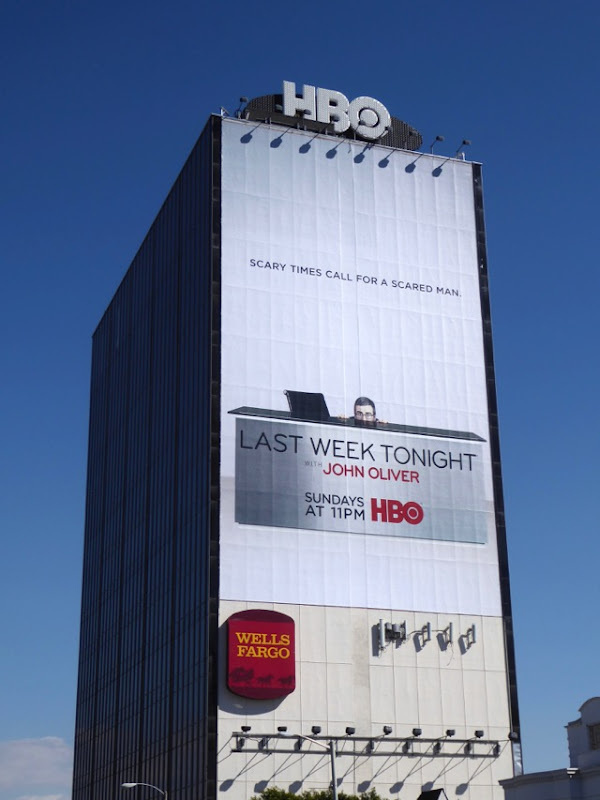 These billboard designs prove that even though we may be scared we can still have fun. Long live freedom of expression. 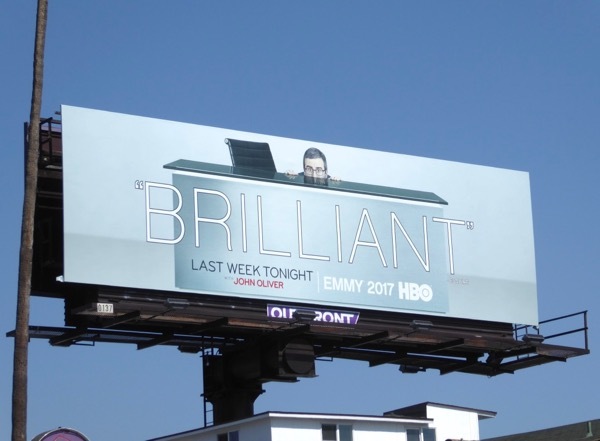 UPDATED: Here's also the 'Brilliant' Emmy consideration billboard for John Oliver's HBO show snapped along Sunset Boulevard on June 2, 2017.